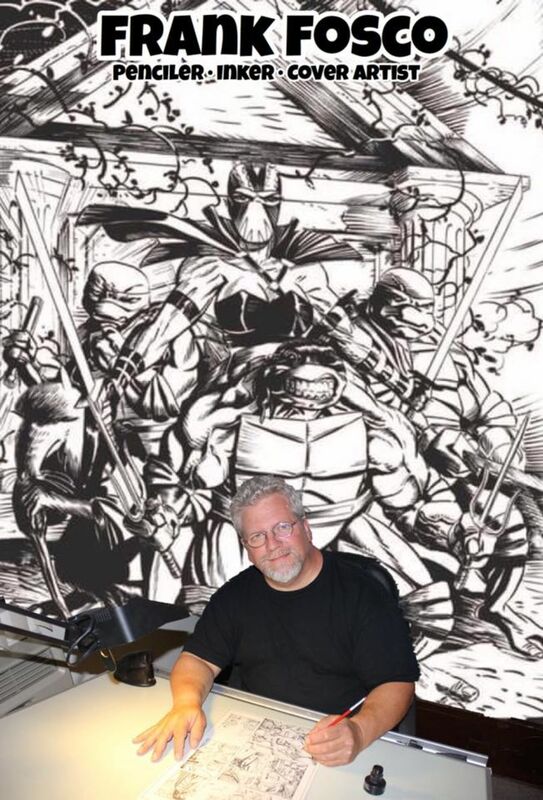 Penciler/inker who started off with Gary Carlson's independent comic book Megaton. In the pages of that anthology, as his first published comic work, it featured his very own creation, Ethrian. After that Ihe ghosted layouts for, “The Strangers” from Malibu comics. The Strangers gig led to some work as a fill in artist at DC. Frank is most notably known for a 23 issue run on Teenage Mutant Ninja Turtles from Image comics. Frank has done work for Marvel on the “Worlds Greatest Comic Magazine” and back up stories in Erik Larsen's Savage Dragon.